Smiles by Payet Dentistry is Moving in May! Expanding from 3 Treatment Rooms to 6: We will be dedicating at least 1 of those new rooms strictly to our 6MonthSmiles (fast, invisible braces for adults), because we are seeing so many adults who want a pretty, straight smile, but who don’t want or need to go through comprehensive orthodontics. In addition, we will be soon adding Tip-Edge Orthodontics for our teen patients, which will make orthodontic treatment for both parents and teens even more convenient. Private Consultation Room: Oh how nice this will be. For a while now, we’ve had to use a converted treatment room for consultations, but it’s never been as quiet and private as we’d have liked. That’s changing! You’ll have total quiet and privacy when discussing whatever you need to tell us. Kid’s Play Area: There will be a small area in the Reception are just for kids to play, which will make it so much easier for parents with those small children to keep their appointments. TVs in all the treatment rooms: You’ll be able to watch your favorite shows to relax during your appointments with the big 32″ monitors directly overhead. So stay tuned…….become a Fan on Facebook for more frequent updates……..exciting times are ahead! 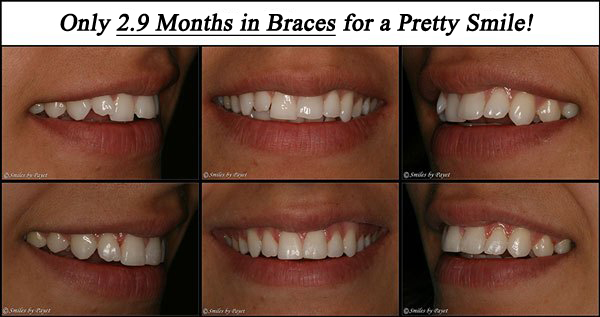 Ever since we started doing six-month braces about five years ago, the number of smile makeovers that we’ve done with porcelain veneers has dropped dramatically. This is because we can create beautiful smiles much more conservatively with six-month braces than we can with veneers, simply because there is no drilling on the teeth. There are times however, when porcelain veneers are an excellent option. Caroline’s case is a perfect example of how the two can work together: we first used six-month braces to straighten her teeth, then whitened them. Finally, we used our CEREC CAD/CAM machine to make to 2 porcelain veneers right in our office, in a single appointment to complete the smile makeover by matching her peg lateral incisors to match the rest of her smile. If you are interested in learning more about either porcelain veneers or 6MonthSmiles, please contact us at either 704-364-7069, or Request an Appointment Online. Quite some time ago, I showed this case as an example of how badly teeth can be damaged by grinding them, whether at night, in the daytime, or both, and why something as simple and inexpensive as a nightguard (my recommendation is a NTI-tss). It is especially inexpensive in comparison to the cost of rebuilding a smile that is so broken down. This gentleman came to us in 2008, looking for options to feel good about his smile again for various reasons. After plenty of discussion, we agreed that the only option that would truly give him the smile that he wanted was a Total Smile Makeover/Reconstruction with porcelain crowns. After showing the Before-After pictures of his smile, I’ll discuss some of the issues you need to consider if you are thinking about significant cosmetic dentistry for yourself. When rebuilding a smile such as this, it is crucial to establish a proper bite relationship of the top and bottom teeth. Sometimes this can take a little while to figure out, because – when the teeth are so worn, the patient has long since adapted to a very bad bite relationship. The muscles have to be relaxed, accurate records taken, and excellent communication is necessary among the patient, the doctor, and the lab, to ensure that the crowns are made to look good, feel good, and last a long time. However, in severe wear cases, we always remind the patient that s/he already did a pretty good job destroying their natural set of teeth, so a nightguard is an absolute requirement as “insurance” to protect their investment, and even then they are more likely to break or chip the porcelain than others who don’t have that history. Simply put, these cases are far more complicated and require a great deal of time to get right, so you need to be absolutely committed to proceeding and working closely with your dentist to get a good result. How Much Does a Smile Reconstruction Cost? It’s not unusual for a patient to ask why it costs so much to do a Smile Reconstruction like this; it often seems like there should be a “volume discount,” so-to-speak, when doing a lot of crowns instead of just 1 or 2. The difference between such scenarios is the amount of time involved, the skill, training and experience required to successfully diagnose, complete, and treat, and that your dentist will have to work with a highly knowledgeable lab to make the crowns to not just look good, but fit properly and work smoothly in eating motions. 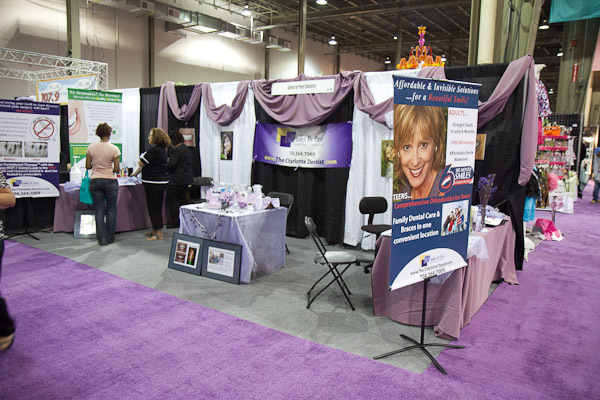 Your dentist will likely spend at least a couple hours just in the planning stages! It’s usually a case of “You get what you pay for.” IOW – if you want a cheap smile makeover, you should reasonably expect a cheap outcome. To get excellence……it won’t come cheap. Depending on various factors, a case such as this will be the equivalent of buying a fairly nice car. The main difference, of course, is that you should expect to be “driving” your smile for a lot longer than most people keep a car! How Long Will This Take to Finish? When doing so many teeth, you need to plan on a minimum of several appointments that could take 1/2-day to a full day each, as well as several other appointments to refine, modify if needed, polish, etc. From beginning to end, if everything goes perfectly, you might be done in as little as 1 month. That would be somewhat rare; more likely, you should plan on the entire process taking at least 2 months, and maybe many more. Extremely complex cases that involve implants, different specialists, and very complicated lab work may take a year or more due to the time needed for healing, verifying each stage is correct, and even just the time needed for lab technicians to do the custom work. What kind of Crowns will/should you get? Due to improving materials and with the right techniques, in most cases nowadays you can have all-porcelain crowns made to rebuild a smile. The crowns used in this case are made of E.max porcelain, which is extremely strong and resistant to breakage. Numerous studies now show that this type of porcelain will likely last for 15-20 years, and quite possibly longer. For certain cases, though, and for patients who are even worse grinders than this gentleman was, gold crowns might still be necessary for the back teeth, simply because they are the strongest, longest-lasting crowns available. They can also take more abuse than any other material. Porcelain-to-metal crowns are also an option and have a long track record, but it is very important for the lab to be highly skilled so that you don’t see dark grey lines at the gum from the metal showing through. This is one of the trickiest questions, because the public doesn’t usually know enough about the training necessary beyond dental school that trains dentists to handle complex full-mouth reconstructions with skill and confidence. But here’s my recommendation: ask to see pictures of their other cases that might be similar to yours. That’s one of the reasons digital photography is such an instrumental and daily part of our dental practice – you will be able to see similar cases and know how the outcome will be before ever committing. The large majority of dentists who are well-trained in these cases also use digital photography, both for communicating with you as well as for documenting and tracking their own work over time. If you meet a dentist who can show you pictures of cases that were completed 5-10 (or longer) years ago AND s/he has recent follow-up pictures to show how well it has held up, THEN you should feel very confident that your dentist can take good care of you. And then start imagining how much better you’ll feel when you can smile like Wayne does now! Please feel free to ask questions or post a comment below, or to share with your friends! If you’re interested in a Complimentary Consultation in our office, please call 704-364-7069 or Request an Appointment Online. 1) Can you REALLY move my teeth that fast? Yes, we really can. I know it seems hard to believe, because most everyone thinks that you have to wear braces for 18 months to 3 years to get everything right. You can take a look at this Smile Gallery to see a whole bunch of people who’ve had their front teeth straightened in 6 months or less. 2) HOW do you move teeth that fast? Do you have any jaw or muscle pain, or a history of headaches? Do you have any difficulty chewing or biting normally, or is your bite really “off” in the back teeth? Do you have some spaces in the front teeth you’d like closed or crowded front teeth you want straightened? If you answered NO the first 2 questions but YES to the last question, then you are probably a good candidate for 6MonthSmiles! 3) WHEN CAN WE START!? This is, of course, the most fun question. It’s amazing how many times patients will want to start RIGHT NOW. As in, before they’ve even left the Complimentary Consultation appointment. And most of the time, we can accommodate. Getting started is literally as easy as getting molds of your teeth, a complete set of photos, and a panoramic x-ray (this one goes around your head and records your entire jaws, joints, etc. to make sure there are no complicating factors). We send the info to our 6 Month Smiles lab, which makes custom trays that let us put pretty much all the brackets on at once, just a couple of weeks later. It’s much easier and faster this way, I promise. And off we go! Do you love to smile like Caroline? One of my absolute favorite things to do, is to see patients for their Complimentary Portrait Session after they finish some type of cosmetic dentistry, whether it is Six-Month Braces, Porcelain Veneers, Teeth Whitening, or some combination of those. There is such a level of satisfaction when a patient LOVES to smile for pictures instead of hide their smiles because they’re embarrassed. Caroline is a perfect example of this; when she first came to see us, she was really unhappy with her crooked teeth. Given what an amazingly cheerful person she is, hiding her smile was not something she wanted, but — like so many others — she assumed that braces would take 2-3 years, and as an adult, she simply was not interested, but she also didn’t want to have her teeth ground down for porcelain veneers, nor did she want to spend that much. So, with a combination of Six-Month Braces, 2 Porcelain Veneers with our 1-Visit Crown system (CEREC), and Whitening Trays, we dramatically transformed her smile in about 10 months total. Just look at her smile now! This is really what Cosmetic Dentistry is all about, really — it’s about helping you feel good and confident about yourself, about your smile. 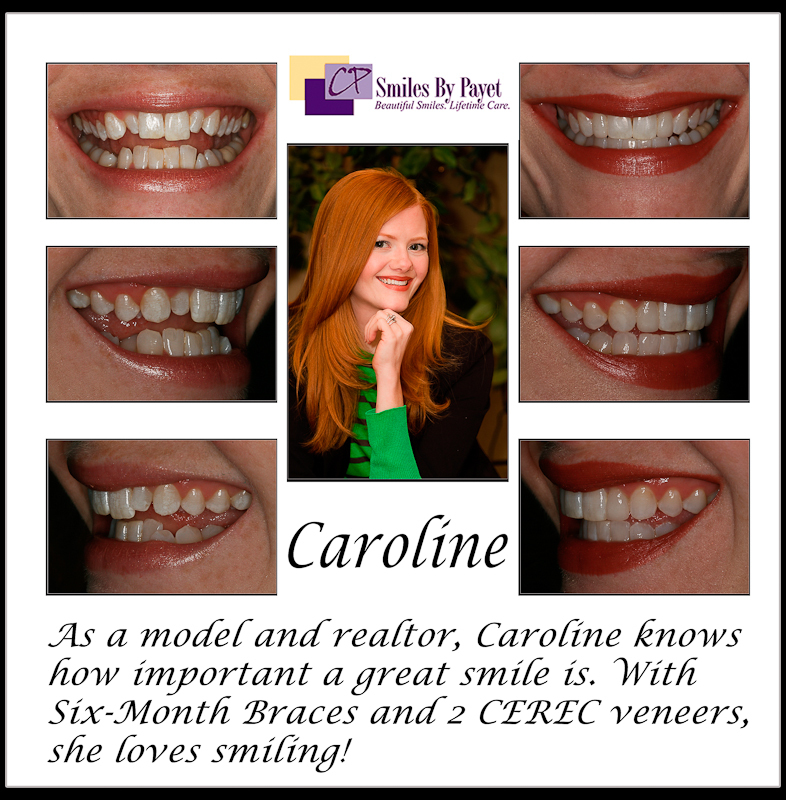 If you would like to smile with the confidence that Caroline now does, give us a call at 704-364-7069 or Request an Appointment Online! Linda came in to our office today with 1 serious issue: a broken porcelain dental veneer on her upper right lateral incisor (second from the middle). Naturally, since she’d been through the process of getting veneers done previously, she was expecting that she would leave with a temporary (aka provisional) veneer after we’d taken a mold of the tooth, and she’d have to come back in a few weeks to have the real one bonded in. However, she was pleasantly surprised by the end of her appointment today, because thanks to the CEREC AC Bluecam, we were able to make a brand-new porcelain veneer in just ONE visit! No second appointment to bond the veneer in, no temporary veneer, no tooth molds, no second time getting numb……..NONE of that! 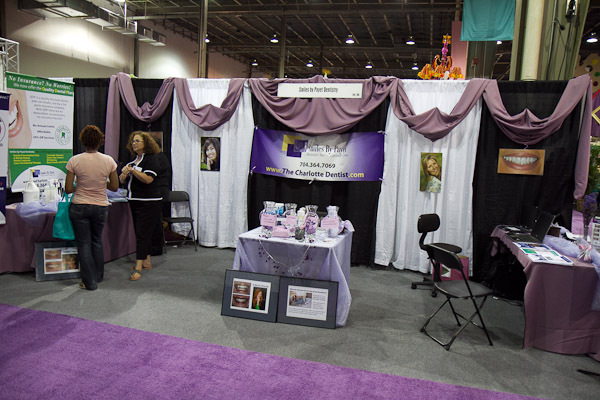 So judge for yourself…..how did we do? Oh yeah…….almost forgot to mention, too….since Linda signed up with our Quality Dental Plan, she saved 20% on her work today!